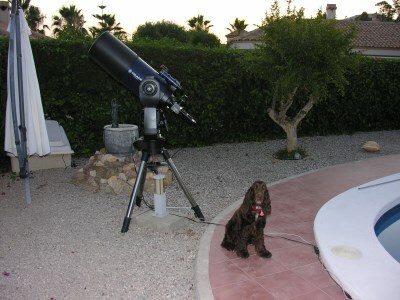 I had at least two other scopes here in Spain before I bought the Meade LX200. They were interesting to use but one soon gets tired of manually following a moving target in the sky....as of course all are, due to the rotation of the earth. 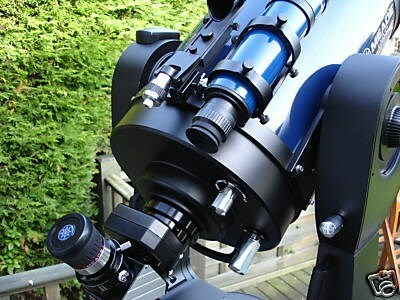 The Meade LX200R came up for sale on EBay - located just south of London. This is no easy load to transport but I agreed to buy because I knew my son could transport it to Spain for me. It was little used and, although not cheap, it was a good buy at the time. 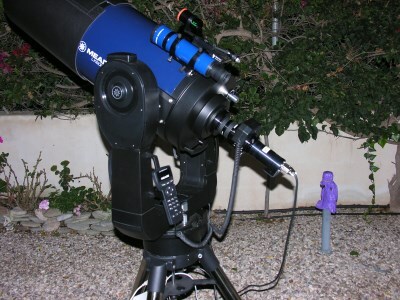 It helped to awaken a deeper interest in the sky at night as I wandered through the database built in with the scope control. 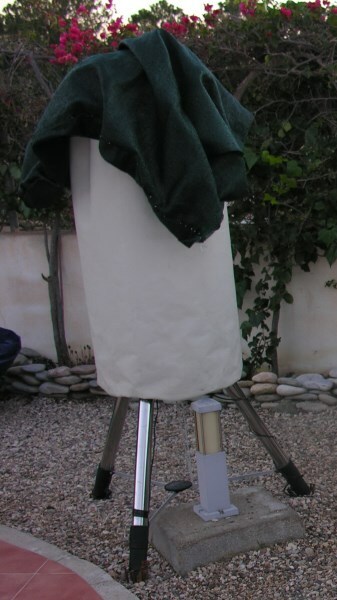 It was an ideal viewing scope and although heavy to set up, the weather in Spain allowed me to leave it outdoors for extended periods with an excellent Telegizmo cover to protect it. (See links below for Meade and Telegizmo). I would not relish the thoughts of setting this up nightly and in fact the previous owner provided a home made base that he used to wheel it in & out of the house. In time I slowly got more adventurous and figured out how to control the mount from a sheltered spot where I had power for a laptop. Using a sky-map programme (The Sky X SAE) I could now point the scope accurately at interesting areas of the night sky... then stroll down to the scope for a viewing session. Then I wanted to try my hand a photographing some of these objects. I had no clue really how to go about it. Nor did I realise that trying astrophotography for the first time through a 10", f/10 scope on AltAzimuth base would be near impossible for a complete beginner like me. So I went and bought my first CCD camera. Again, a good buy on EBay....so I thought. There was nothing wrong with the old Starlight Xpress MX7C, but putting the whole package together was really getting me nowhere except looking uphill at a very steep learning curve. However it made me read more and look closer at what was being used by those people able to show fantastic amateur photographs on various internet sites. I did not give up, but got more determined to get to grips with this budding hobby. The first lesson I learned from my studies, was that the most important item was the mount. I had to get a good mount. 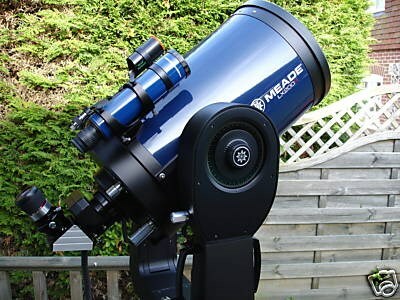 More of that later......below some photographs of the Meade LX200R that really got me started....albeit in the wrong direction! 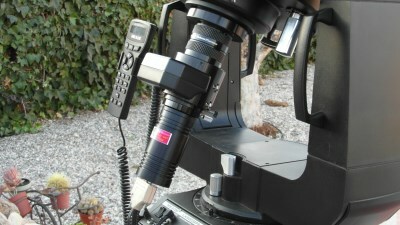 Power to scope via buried cables. Cables to the laptop in the foreground.